Heyo! Long time no update, figured now would be a good time to pop back in with a little update on whats going on with me! 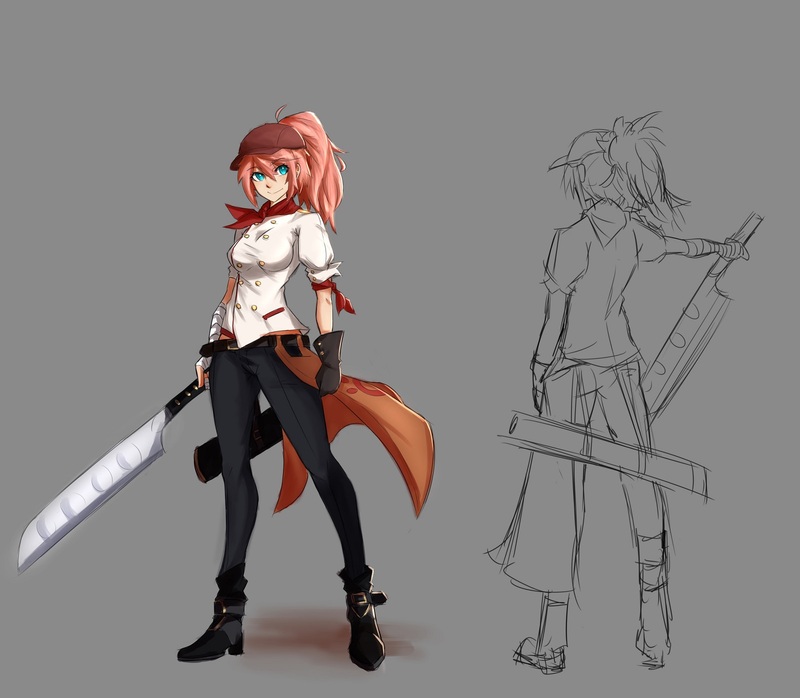 Long story short, a friend and I have decided to start a little project where we're developing a 2D action RPG. Currently we only have plans to produce a prototype and we're mostly only doing this for fun but we've gotten a lot of support from some unexpected areas and have moved on full steam ahead with developing the prototype. I've signed on as an artist and writer for the project and he's primarily handling programming for the time being. I can't disclose too many details about the project just yet (I should get his permission first) but I can share what I've personally done so far. The game's project title is Ramen Heroes, it's a cooking themed 2D action RPG. Inspired heavily by Shokugeki no Soma and Battle Chef Brigade, we've set out to create a game that embodies the two things we absolutely love. Fighting Games and Cooking! The opening song from Baccano sums up the basic tone/feel of our game and story, so have a listen to it while you're reading through this! Setting: The story takes place in a fantasy world modeled after the 1920's/1930's with light art deco influences. The entire story is set in the city of Alta Nua, a huge megalopolis where all the world's finest chefs and gourmands congregate to cook and dine. Story: The main narrative follows a young girl in her early 20's named Lydie Laurent. Against her family's wishes, Lydie left home to pursue her dream of becoming the best chef in Alta Nua at the most prestigious academy in the city. After several years in the academy, Lydie returned home on a whim during a holiday to visit her family, only to discover that her neighborhood has become deserted and her family's diner has been abandoned. Lydie's father has gone missing and not a soul remains on her home street. Overcome with the memories of her family diner and the experiences she shared with the people growing up, Lydie drops out of school and resolves instead to restore her family's diner. She hopes that one day by making the family restaurant famous once more, she will bring back the people that she once shared plates with and perhaps her dad will hear of the restaurant and return home as well. Join Lydie as she faces off against Alta Nua's eccentric cast of restaurant owners, chefs and gourmands as she cooks for the number one spot in the restaurant world. Experience the culture of Alta Nua such as the Spring Spirit's Festival, a celebration where chefs cook a meal for their deceased ancestors or the Beast Master's Legacy where chefs battle against monsters for the rarest ingredients known to mortals! Most importantly, develop and cook the best meal of your life in this jazzy story about family, food and determination! Skilled with the knife, Lydie possesses the ability to precisely slice any food or monster with ease! Though she doesn't specialize in any particular flavor yet, she is determined to figure out what her specialty is through the trials of running a successful restaurant! Lydie's underclassmen while they were at school, Ryoma is a hot blooded fire mage that specializes in heat and open fire cooking! He favors spicy and savory foods loaded with umami. Having made a pact to graduate together, Ryoma felt betrayed from Lydie's sudden disappearance and has left school to convince her to return. He runs a food cart with his sister Tsukihi when not attending classes. 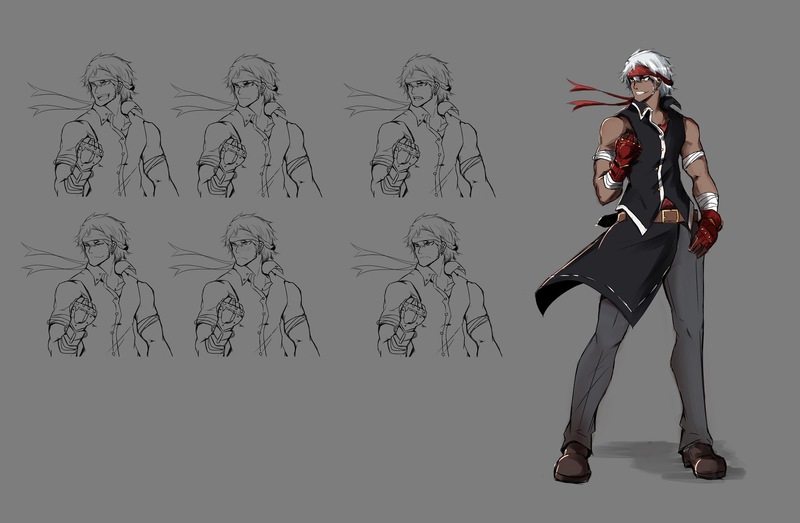 In battle he uses gauntlets that amplify his fire magic. He see's Lydie as his greatest rival. Lydie's uncle and the one that trained Lydie to cook when she was a child. Gerard is a personal friend of Lydie's father and he was given ownership of the Laurent family diner after his father left. Gerard doesn't know why Lydie's father disappeared by he has since abandoned any hope of him returning. Gerard runs his own restaurant on South Street, and after Lydie's return has agreed to help her restore the Laurent Diner. 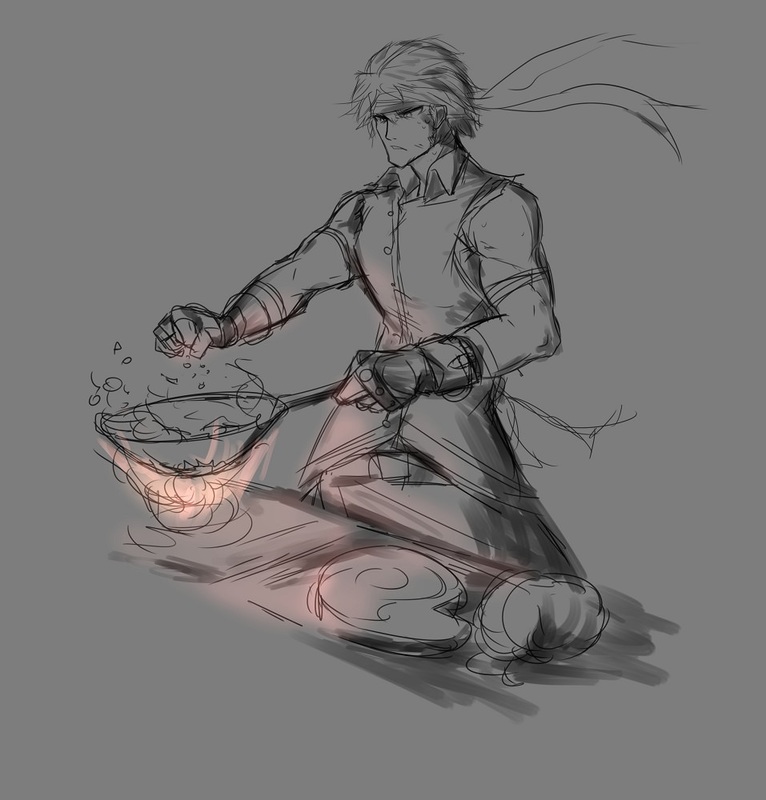 A Coldblood chef that worked in the Laurent Diner when Lydie's father was still around. 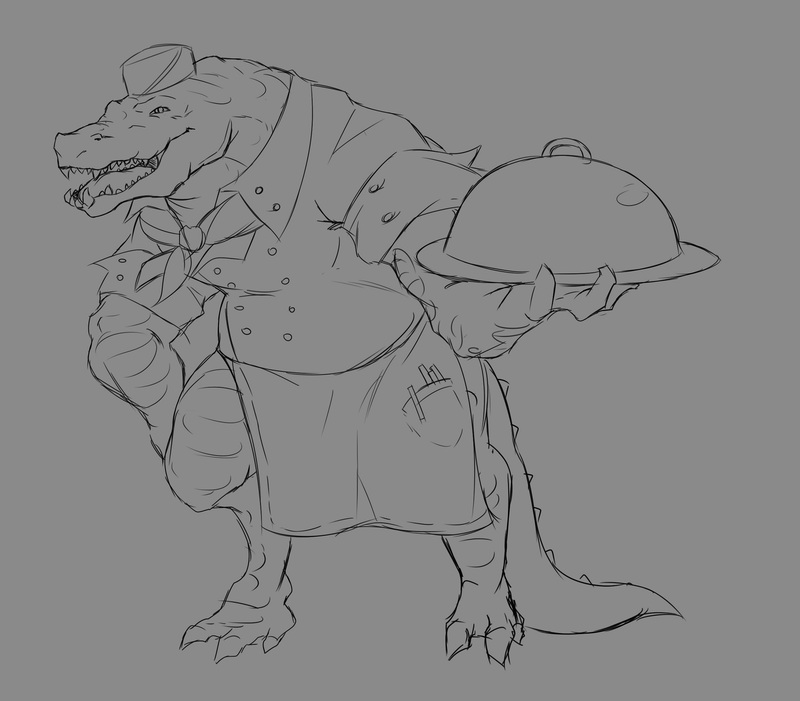 Donovan was employed by a particularly fussy chef in a different restaurant after the Laurent Diner closed down. He has now returned to work for Lydie and acts as Lydie's first sous chef. He is a vegetarian and works as an aspiring politician in his spare time. The magnanimous chef Saffron is a Celestian witch that appeared in Alta Nua before it became the beacon of culinary adventures that it is today. Saffron runs a restaurant named after herself, Golden Saffron. It is currently the most popular restaurant in Alta Nua. Saffron specializes in spices and herbs, utilizing a combination of alchemy and advanced witchcraft, her meals are known to bewitch customers with their alluring aromas. Saffron prefers savory and salty flavors. She runs a side business selling potions and rare herbs. She has been arrested on occasion for riding her broom past the speed limit. 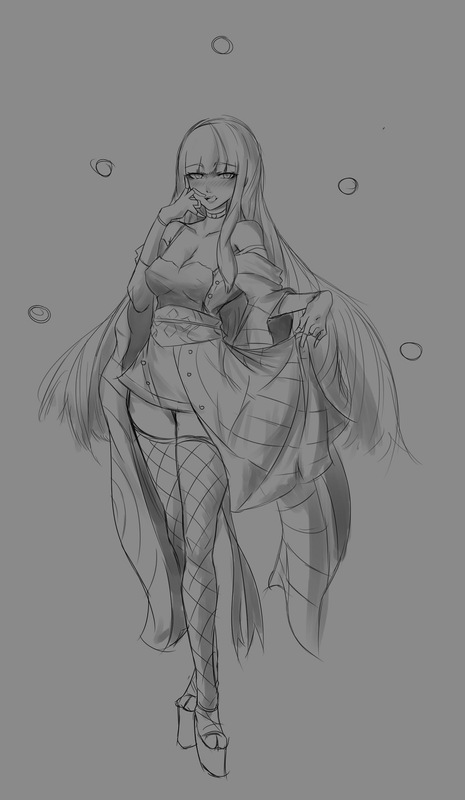 Almost constantly drunk, Ume is the enigmatic owner of a posh restaurant named Venom. Ume's family has lived in Alta Nua for generations, as one of the first Oni immigrants to the city. Venom, despite it's name is rated the best restaurant currently in Alta Nua. Ume specializes in using a variety of alcohols and poisons in her cooking. The exotic nature of her food has attracted many daring gourmands and to this day, not one person has left Venom without giving it a 5star review. Ume is often at odds with Saffron, but despite this they are often seen dining together. Ume was in a particularly saucy relationship with Lydie's father at one point. The imposing Krunk is the leader of a crime family seated in the underbelly of Alta Nua. Known only as the "Sugar King", Krunk controls the flow of all sweets in and out of Alta Nua. Despite his status as a criminal overlord, the Sugar Mafia commits very little actual crime. Instead it's more known for buying up and employing promising startup bakeries and patisseries. Krunk himself is known to be a particularly delicate baker and specializes in cakes. As a Golem, he loves sweets and though he doesn't have to ingest food to survive, it has become his favorite pass time. He is quite popular with kids. And that does it! Thank you so much for taking the time to read all this. Please let me know what you think so far, I know I've been rather vague with details on what the actual game is about but I will be regularly updating this thread with more content as it gets produced! Remember that most of this is still a WIP but I wanted to share at least a little bit of this passion project. 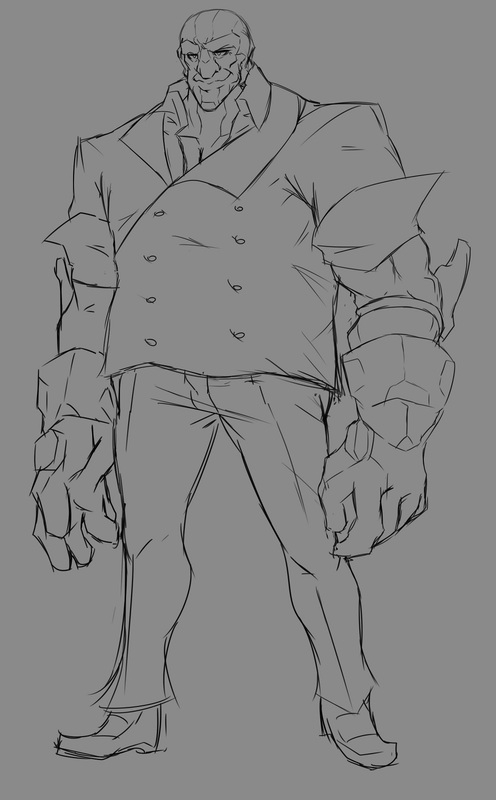 Once again, thanks for taking the time to read about my haphazard ideas and look at my awkward character designs! General Discussion / Drawing with Devola! 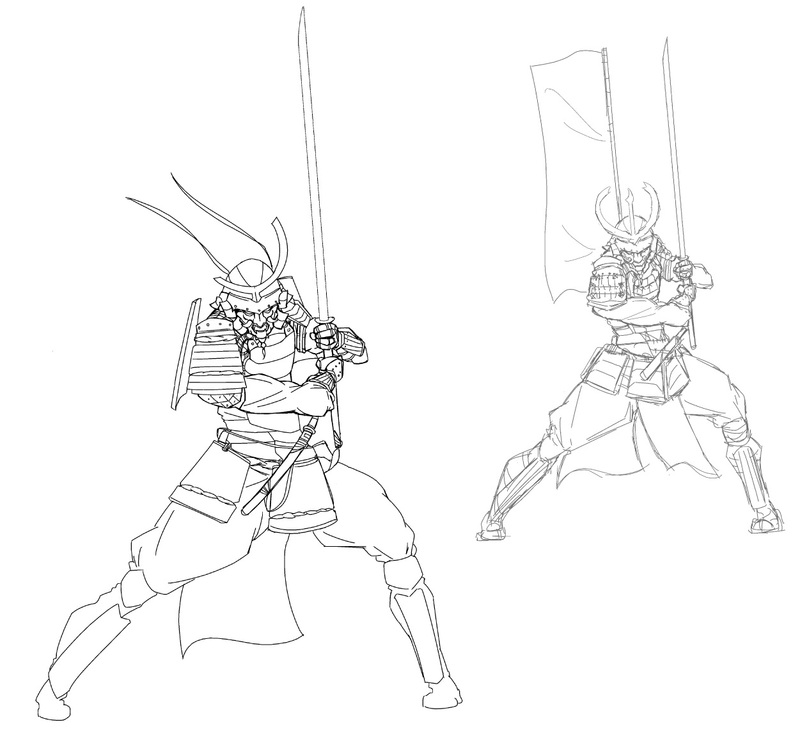 If anyone is interested, over the next few weeks as the holiday season starts to settle in, I'll be going through several different art training regimens on my own to work on improving my art. I'd actually be happy to share these exercises and help anyone else interested in improving alongside me as I think it's valuable experience to get help from others and is beneficial for those doing the helping as well. I'll also be sharing my method and the techniques I know of so far as well as trying out new ones. If you're interested in participating with me on these exercises or have any questions, send me a PM or leave a reply here. You don't have to be an experienced artist for this to benefit you! General Discussion / clip studio on sale again! For anybody that missed the last sale, it's 60% off this time. Hey guys, trying my hand at a sci-fi short story, I will be including pictures to go along with this. Please let me know if the synopsis seems interesting and if there is anything I can do to improve it! The year is 2044, the internet has been rebuilt to run on a human neural network called CORAL. CORAL's servers are hosted by human minds, and each individual is given an augmentation at birth called EYE that connects them to the neural network. The story follows a girl named Niyon, a hacker part of a group called EXE.Cutive. She specializes in diving into CORAL and retrieving illegal information. During a fairly routine hack, Niyon discovers that her long since dead mother is inside the CORAL network, and "alive". She discovers a rare phenomenon called GHOSTING, an instance of the CORAL network memorizing the individuals actions and replicating it inside the system. These GHOSTS inside CORAL all behave like real human beings, but they no longer have bodies and are just copies of the originals. The CORAL system is reconstructing dead humans based on their actions inside the network, rebuilding them from the words they used to post on social media, and the websites they visited. Due to the nature of their return, without their original bodies and inside unfamiliar territory, these GHOSTS are understandably disoriented and panicked. They begin possessing machines to search for answers. Join Niyon, her mom Nissa and the EXE.cutives as they dive into the mysterious CORAL network and learn why GHOSTS of long dead people are coming back to "life". If the copy is indistinguishable from the original, and the original is no longer around, is the copy effectively the original? Ship of Theseus, problem applied to humans. If we replace every part of you 1 by 1, when do you stop being YOU and start being someone else? I am particularly excited to write about the relationship Niyon will develop with her mom, I'm looking forward to writing this so please let me know if the concept is interesting and if there is anything I can improve! Long day at work... not feeling the art at the moment so lets do something fun. I want to start a Legendary difficulty campaign on XCOM 2. AND WIN THIS TIME. LETS DO THIS. If you wanna be a part of this disaster, reply with your desired name and class. Otherwise I will randomly choose people from the forum. Anything can happen. Anything will happen. I'll update this thread with a short story detailing the gruesome way you died. Should you choose to accept this mission, I make no promises except that your death will be anything but hilarious. For anyone not familiar with XCOM 2 here is a quick summary. Aliens took over the world. Somehow, you think you can take it back with 6 soldiers at a time. Good luck. General Discussion / Is anybody interested in using Discord? I'm sure this has been brought before somewhere else, but would anyone be interested in a Discord server to use for collaborating? So in the spirit of trying to git gud, I will take requests to draw your characters (some restrictions apply)! I would like this to be helpful to the other person as well so I think it would be fun to work on small projects like a collaborative art piece or designing a character concept together. That way we can all improve! in fact I would PREFER something like that, more often than not I find myself learning more when I observe and learn from others. - Because I am doing this unpaid and thus for free, it will be completely at my discretion whether or not I will finish a work. The same applies for you, I will never pester you to finish something. - Please don't get mad at me if I don't draw it the way you expect it, but don't be afraid to criticize. I am more than happy to make changes but don't always expect me to. - Remember that this is all for the sake of improving, so I welcome challenge! I tend to stay in my comfort zone too much anyway. That being said, any and all skill levels are welcome, we all have much we can learn from each other. Now for a little about me. You can skip this if you don't care, it just details what I think I am good/bad at. You can find a gallery of my artwork in the Gallery section of the forum. 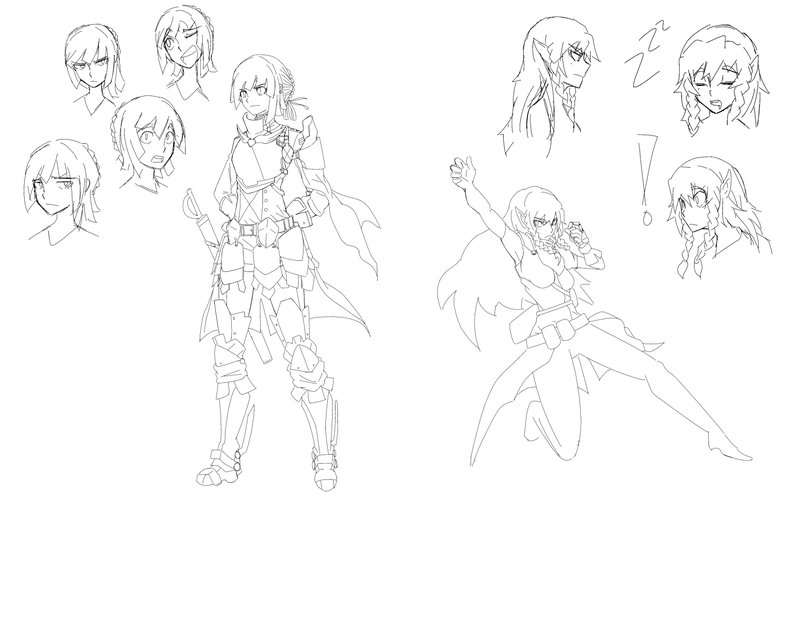 I like girls in armor. I tend to draw women more than men. 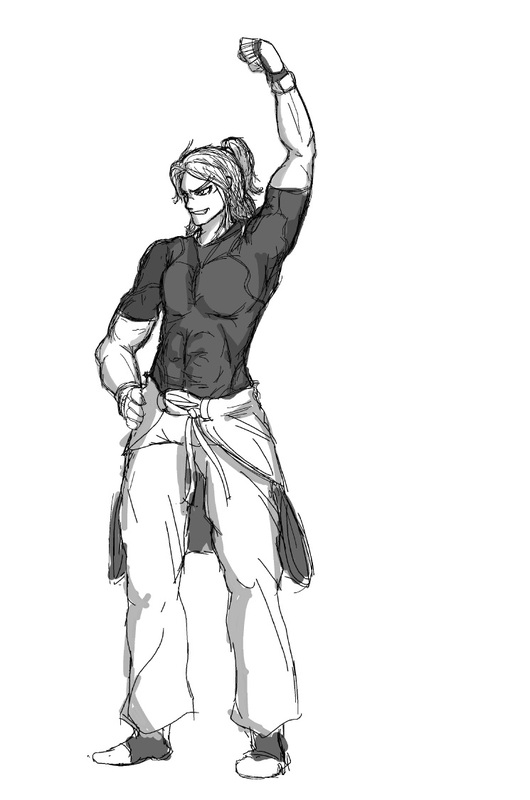 I am severely crippled when it comes to body types, I usually only draw the typical anime bods and not much else (I want to get better at this). I love drawing expression and lately movement/interesting poses. 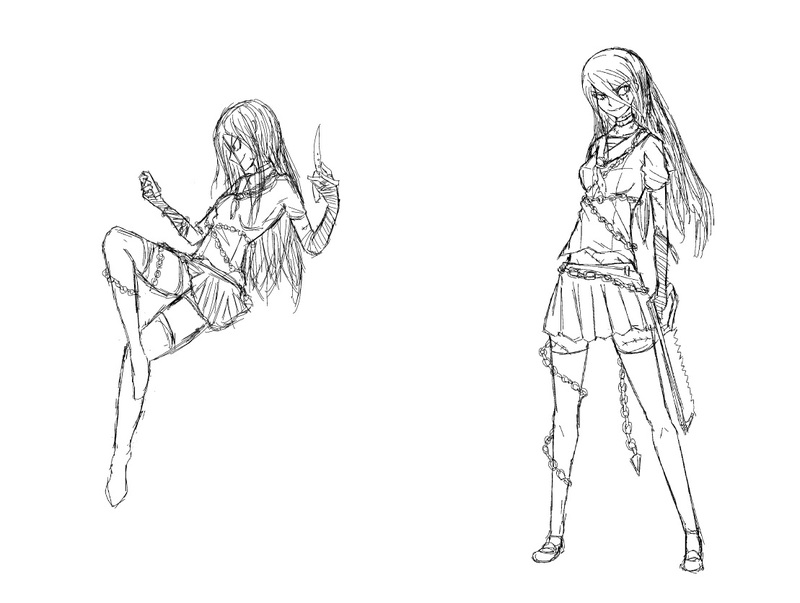 I am comfortable with most genres but I draw in 2 distinct styles. A very anime influenced style for pinups/concept art and a more cartoony/simplistic style I tend to use for scenes with a lot of movement. 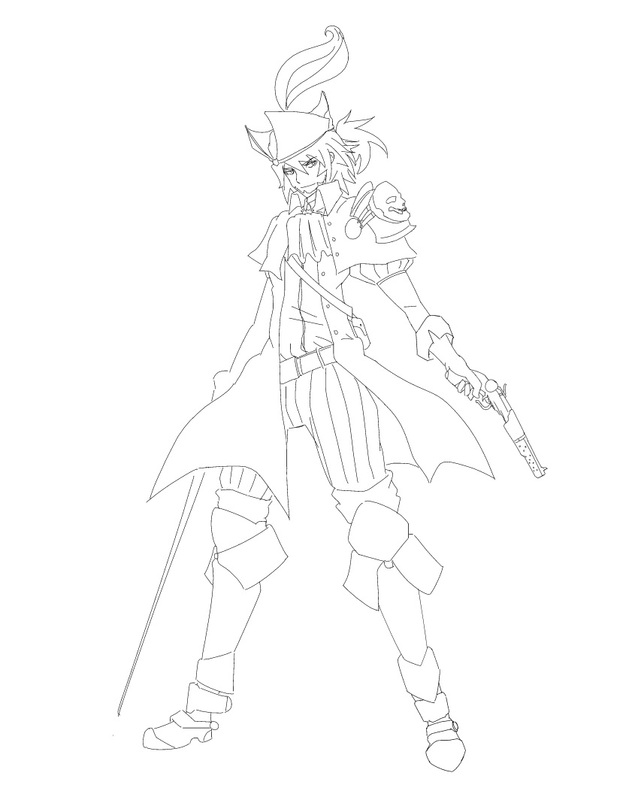 I cannot resist any requests that involve drawing interesting clothing or armor, especially detailed ones on women. I can't draw animals. At least not well. It can be as detailed or as vague as you want it to be. The more details you give me the better the end result will be, but if you leave it intentionally vague that can be interesting as well since the results will be unpredictable. You are free to use any artwork I produce for you in anyway you see fit, please just credit it to me. I'll start off by posting my most recent and relevant work. These characters are OCs for an RPG I will never make but I like day dreaming about. I like to get to "know" a character before drawing them so I doodle their expressions a lot. 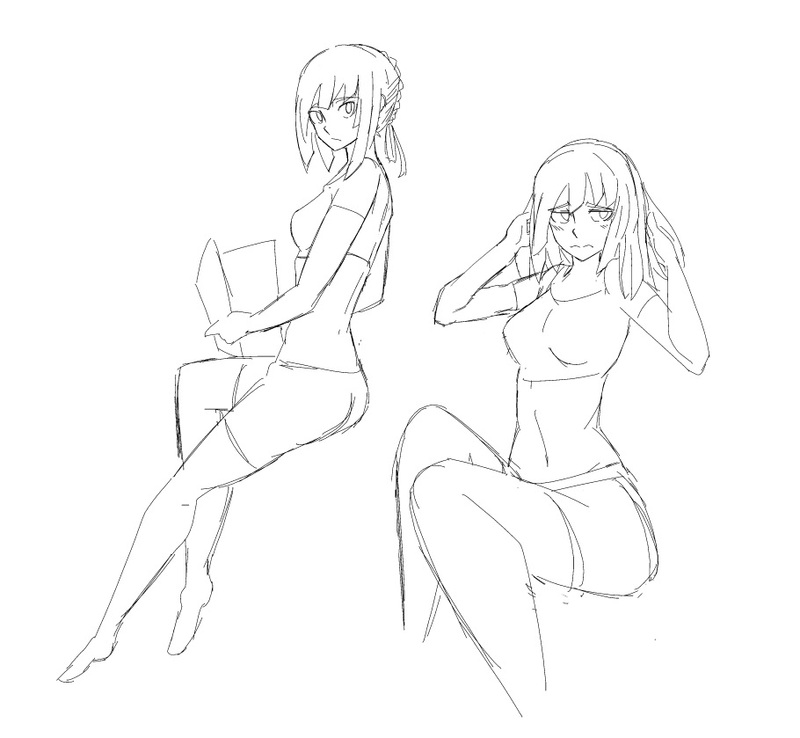 A body and angle study done with the character on the right from above. An OC for a friend, the character on the left and the one on the right are the same characters, she is just a lot younger on the left. Another OC for a friend, she roleplays as this character in a game we play. An avatar I worked on for a friend, his only description was "sly"
As you can see, I rarely ever actually finish most of my work to "completion", I tend to lose interest or focus rather rapidly and move on to something else. This is something I definitely need to fix, on top of that I want to really challenge myself and push to draw a greater variety of characters. Particularly different body types, skin tones, races, species, perspectives, that kind of stuff. 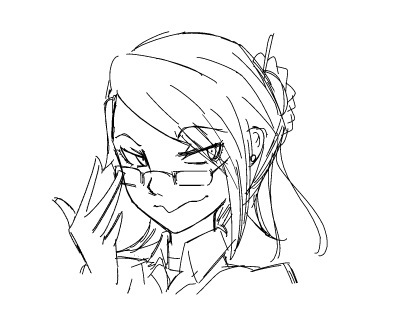 In the interest of doing something like this I would love to do art exchanges or collaborative works if anyone is interested, I'm hoping with someone there to crack the whip I will actually finish my work... I am also willing to do free "commissions" but the terms will be completely up to me (you can't get mad if the work isn't finished). 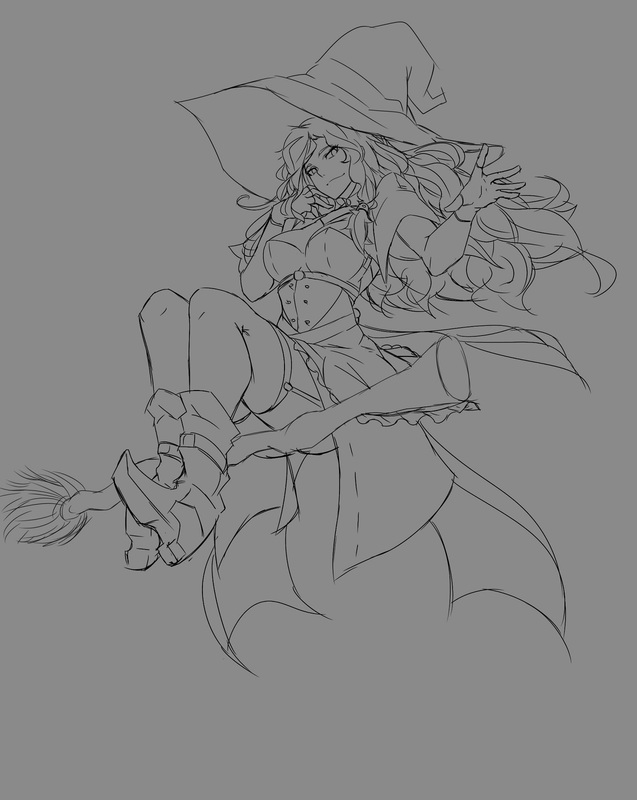 Also I need help coloring stuff. Welcome Center / hello everyone! 08. Your others interests / Hobbies: Video games, literally all the video games. Particularly a huge fan of JRPGs (Etrian Odyssey, Persona, Shin Megami Tensei, Tales of series, that kind of stuff) and fighting games. If I'm not drawing or writing I'm usually practicing Guilty Gear Revelator or Street Fighter 5. 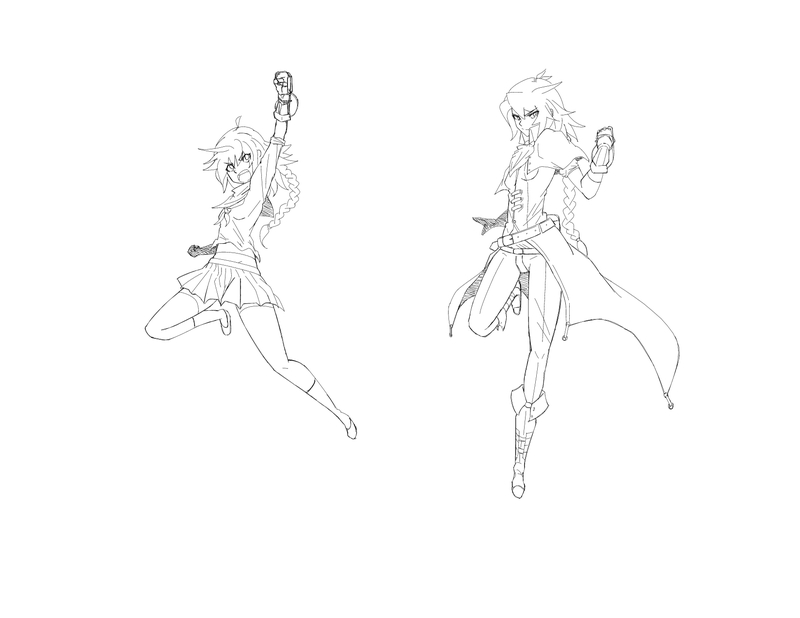 I'm also really into making sprites and animation though I'm very new at both. 09. what you like to do in forum: I came here mostly to get feed back for my artwork, I haven't had much luck with Deviant Art so having a more focused group of people for feedback is what I'm looking for. I'm hoping to really up my art game this year. Thanks for taking the time to read my intro! I'm looking forward to sharing my work and improving alongside everyone.